Last night, my beautiful girls and I dressed up, put on fancy jewelry and headed to the theatre to watch their very first professional theatrical performance! Well, they've been to a ballet before, but that doesn't count ~ there isn't any talking in a ballet! I know, I know... what took so long? Let's just say... as someone who loves the theater herself, I wanted their first experience to be magical. 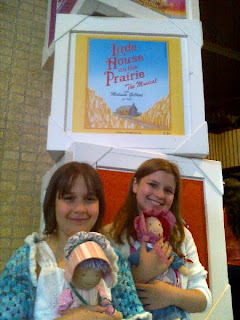 We went to see The Little House on the Prairie ~ The Musical and it was amazing! The girls were captivated by the performance. We didn't make it home until close to midnight which is why you will excuse any and all nonsensicalness that appears in this post! : ) I don't have any pictures to share except for one that I took with my cell phone camera so the quality is pretty awful. Yes, I let them bring their dollies dressed up in prairie garb. As I said, it was a late night but they weren't phased by the hour. After the show, they invited all of the homeschool groups to come down for a 20 minute Q&A session with some of the cast. I didn't think the leads would show up, just figured some of the supporting cast members might be there for a bit, but I was wrong. Melissa Gilbert who plays Ma was there and the actors who portrayed Laura and Almanzo were there. Even little Carrie (with a nowhere near little voice) was there. They all gave an amazing performance. Acting, singing, dancing... they did it all! While I'm not saying they stole the show, I have to honestly admit that Kevin Massey (Almanzo) and Kara Lindsay (Laura) are two very talented actors with the kind of stage presence that you can't help but watch no matter what is happening around them! On the way home we talked about our favorite parts. OK, in addition to being impressed by the acting talent I was blown away by the design elements! The lighting design was awe-inspiring and undeniably reminiscent of the big prairie skies! The snow effect was truly chilling. The set pieces were so simplistic, even minimalistic, yet they had the power to convey the scene completely and thoroughly. And even though it changed and moved frequently, you always knew where the scene was taking place. The girls were amazed at how it only took a hint of a set to inspire their imagination... how they saw a wagon train move across the prairie but there was never any wagon on stage and how even though there were no horses either, they really felt as though they had seen them race. That is a credit to the actors and designers and I wish I could thank them all for bringing these beloved stories to life in such a magnificent way. This night took me back to the days of my youth. (Doesn't that make me sound ancient?) My father was the friend and client of a banker who would occasionally offer him tickets to the big shows that came through town. These were box seats people! Seriously nice tickets! The bank owned the seats and gave the tickets to clients/business people they wanted to schmooze. Rather than go to waste when there was no schmoozing going on, I was often times the recipient of those tickets. The shows I got to see were fabulous. Grand Hotel, Les Mis, Starlight Express... truly wonderful shows! Maybe that's why I have waited so long to expose my children to the beauty of the theater. Like I said, I wanted it to be magical. Last night... there was magic! I had thought about taking my girls who just LOVE Little House. I feel so bad that we didn't go now. They would have LOVED to have talked to Melissa Gilbert. I am so happy that your children had this chance! The Q&A session was very brief and the exhausted actors really didn't "chat" with us very much. They were kind enough to answer a few questions. There were no autographs or photo opportunities. It was a truly terrific show and if it comes back on tour near area again, I would highly recommend trying to see it. If you are in the DFW area, the show will be in Dallas through the 23rd and at the Bass Hall sometime in early June. My mom took the kids last year when the show was year. My kids loved the show and the Q & A after. If it comes back we are all going! Bah! For a moment I thought, "Bass Hall? AT UT? IN AUSTIN?!" *sigh* We do have "The Wizard of Oz" and "The Wiggles" coming up, though! I'm glad you and your girls enjoyed it and that it was magical. Even without a lot of interaction, it was good of them to stop for a bit.... tho a photo op would have been nice. So neat. I'm so glad you had fun. We just got our Little House in teh Big Woods audio cd in teh mail a few days ago and my kids are loving listening to it in the car. They love the Little House little Kids series of books too. Hopefully someday they can go to see this show. I'm such a prairie/mountain girl at heart (aka my last post on my love for the mountains). Thanks for sharing this. How Fun! I'm glad you had the opportunity to go. 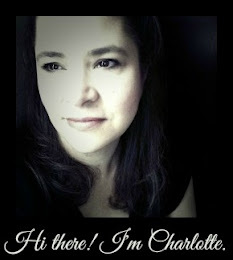 I *love* the theater and especially musicals! I wanted to take the girls to see this show when it was in Minneapolis. However, we missed it. 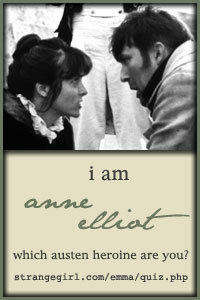 :( I love Little House...we are currently watching the disc set series' from Netflix. I swear I cry every time I watch one with the kids! I missed this post last week ... Hmmmm. We took my oldest daughter to see this a couple summers ago when it debuted in Minneapolis. It was magical, I agree. I also completely agree with you about the set design—simplistic but amazing! I also really enjoyed how they interpreted the relationship between Ma and Laura, especially since Ma was played by Melissa Gilbert who used to play Laura on TV ... Anyway, I'm glad you and your daughters enjoyed it, too!